Last night was FNWF hosted by the wonderful Cheryll. I've had these hexi flowers for ages, so during the week I decided I was going to spend the Bank Holiday weekend putting them together. I started in the afternoon and carried on until late evening. I really enjoyed doing them as I haven't done any English Paper Piecing for ages. This week I've also made this super cute Hexi pincushion/caddy. You can find free tutorial over at Penny's Hands. The only change I made was when it came to filling it. I used rice to give it some weight and I also left the 2 opposite sides open instead of 1 which made it a lot easier to fill. Why not pop over to Cheryll's blog and see what everyone got up to. 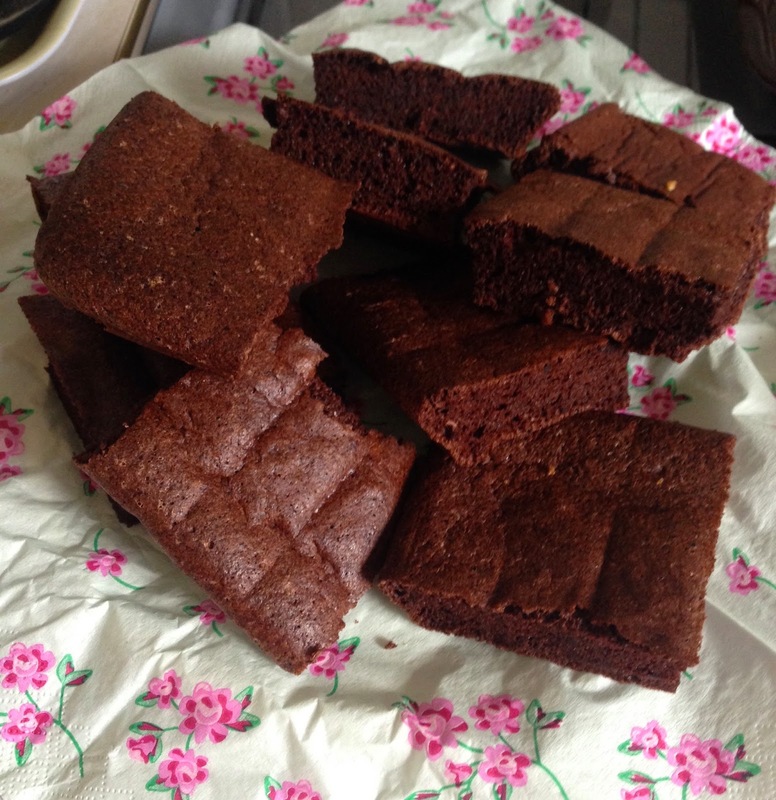 Hi Melanie, those hexi flowers are so pretty.English paper piecing is so morish as are brownies! Great idea, pin cushion and caddy in one. Those hexie flowers are very pretty. Visiting from FNWF. those cookies look delicious. well done for only eating one.. 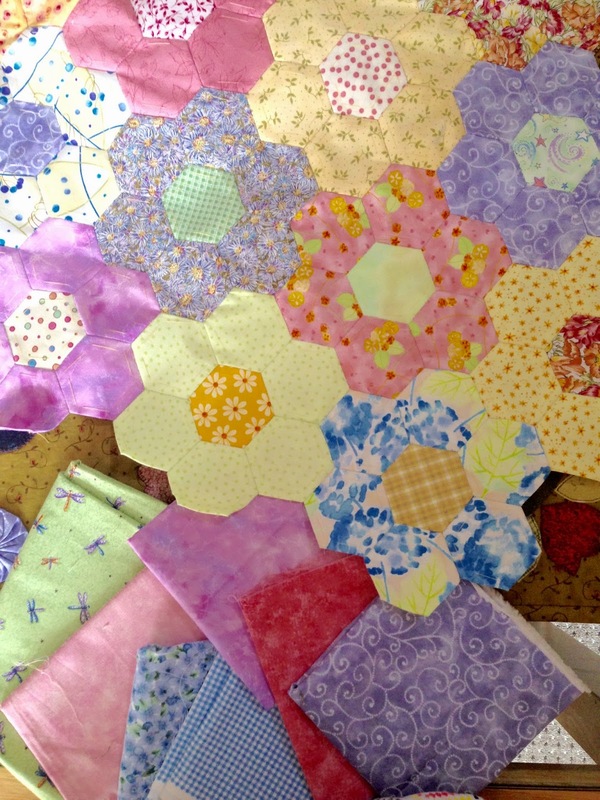 Your hexies look great sewn together and the pincushion is sweet. Just popping by from the FNwF sign up post. Those brownies look yummy! And what pretty hexie flowers you made!